C3yoyodesign has announced a special item on their Facebook. Rei Iwakura edition of the Accelerator, Iwakura-rator! Available at WYYC2015 REWIND booth. 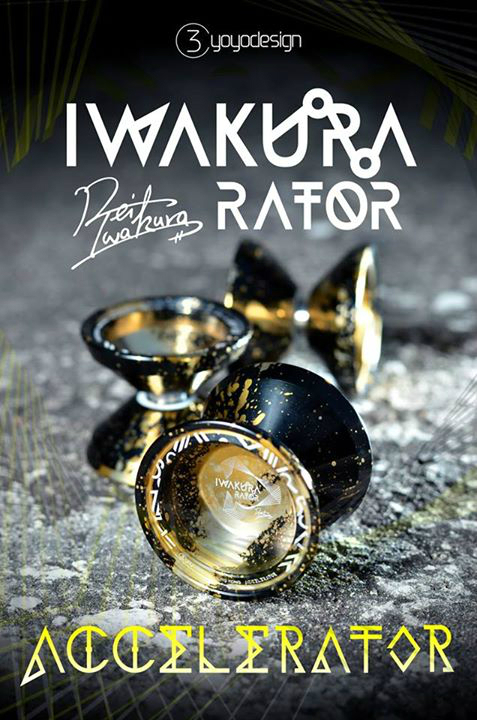 Four-time World YoYo Champion and four-time Japanese National Champion Rei Iwakura has officially joined C3yoyodesign! The news was announced today on Facebook, and Rei’s new signature model “Flawless” will begin full production tomorrow in Hong Kong. Check out the announcement video above, and congratulations to Rei and C3yoyodesign! We’ll update with photos and specs for the Flawless soon. ← Rewind Remind 9/12 [Get a 10%OFF Coupon! ]Review Campaign!